Wood frame buildings in Carnegie Hill. Sequestered along quiet East 92nd Street east of Park Avenue are a trio of grand old wooden houses with porches, distinctive in the Upper East Side due to their contrast to surrounding houses from subsequent decades. Though they face the street, they date back to a time before streets were built, when they were likely surrounded by open fields. They were likely built in accordance with the John Randel street grid plan instituted in 1811 and slowly making its way north in Manhattan throughout the 19th Century. 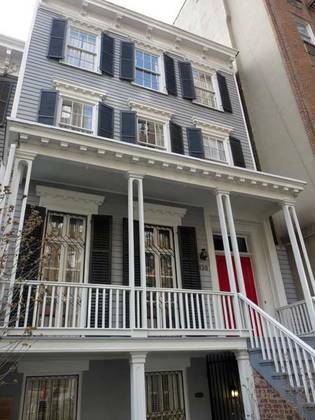 #160 East 92nd Street, between Lexington and 3rd Avenues, was built by a carpenter named Albro Howell and finished in 1853 in a combination Greek revival and Italianate style. 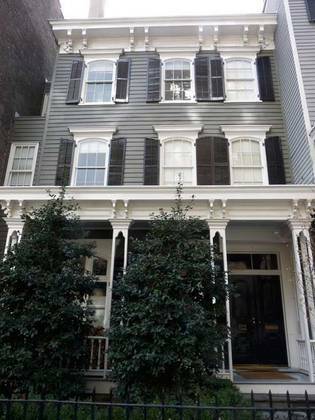 It was built before wood frame houses were banned in Manhattan due to fire concerns. The original doorway, porch, and window shutters are still there, but the four original Corinthian columns are “newer,” having been installed in 1930 to replicate the originals. #120 East 92nd Street, between Lexington and Park Avenues, one of a pair of historic wood-framed, Italianate buildings, along with #122, that have been preserved in adjacent. #120 is closer to the street and features no setbacks, but still has a shady second-floor porch. It was constructed by an unknown architect in 1871 but its subsequent owners have been kind to it, preserving almost all of its detailing. 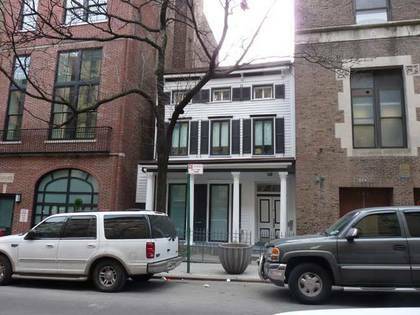 #122 East 92nd is the older of the pair (1859); it was built by the aforementioned Albro Howell, who was associated with additional buildings in northern Yorkville that have since been demolished. It is set back further from the street by a front yard. The original owner was customs official Adam C. Flanagan. Not seen in this photo is the small penthouse that was added in 1922. 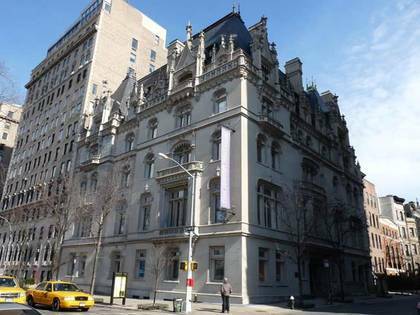 The Carnegie Hill/Yorkville area is more famed for its grand mansions along 5th Avenue facing Central Park; several have become museums, such as the Jewish Museum, 5th Avenue and East 92nd, in a mansion built by C.P.H. Gilbert for philanthropists Felix and Frieda Warburg in 1908 at the height of the Beaux Arts era. Gilbert’s model was the chateaux found in the Loire region of France. Frieda Schiff Warburg donated the house as the permanent home for the museum in 1944. A 1993 adjacent addition deftly copied the 1908 original.